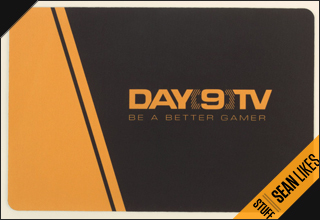 I had an idea whilst taking a shower this morning that at the end of each month day9 could host an sc2 tourny, it wouldn't need to have a prize or anything, maybe just have day9 cast a couple of the games and the finals or w/e. It could either be open to every one from bronze to masters ( granted it would be difficult to pair players of even skill together) or maybe one month its bronze and silver players, next gold and plat etc. The selection process could maybe be something similar to his question grabber, maybe type something in chat, comment on a forum post, or comment on a video or something. We could report the results to his mods or maybe just have a forum topic set up. Idk I just thought it might be a fun idea. Tl;dr – play competitive StarCraft II without pressure or strict timetables We are excited to officially announce the ADHS.GAMING LEAGUE// SEASON #1.